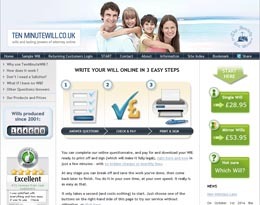 Using An Online Will Writing Service? 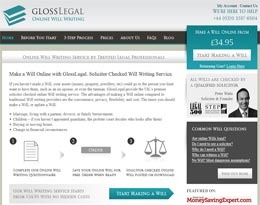 You can find pages of online Will writing services on the Internet at the click of your mouse. Some work completely online, some via phone and post and others offer a more personal service with will writing consultants or advisers who will visit you at home. Which method you choose depends upon your personal preference and how much your are expecting and willing to pay to make a Will. One thing you need to remember when selecting a Will writing service is what credentials and level of expertise are you buying. Anyone can call themselves a Will Writer and start a will writing service, you can even do it yourself with a simple form from a stationery shop. But only a properly trained professional Will writing service can ensure that your Will is correctly drafted. 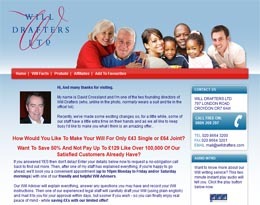 Do it yourself or badly made Wills can be just as bad (and sometimes worse!) than making no Will at all. Investigate their experience, how long have they been in the will writing business. Do they have any or adequate insurance cover should they get it wrong. Are they a member of a professional body such as the Society Of Will Writers, the Institute of Professional Will Writers or Society of Trust & Estate Practitioners. If a will writing service cannot show this, be cautious. 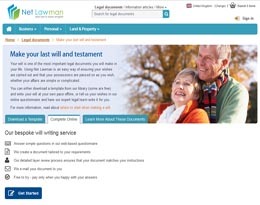 How Much Does a Will Writing Service Cost? 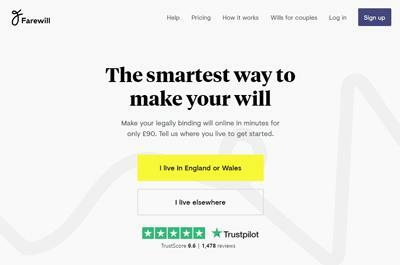 The majority of online will writing services simply write your will based on your personal details and cost between £30 – £100, but generally don’t offer any legal advice. Their service is based upon standard legal phrases that have been tested by legal precedent. For more complex affairs some solicitors offer online will writing with limited legal advice from around £70. A few of the most popular will writing services are listed below for your convenience. However, this is not a complete review of all such services available and does not constitute a recommendation or legal advice. Use common sense and bear in mind the points above. This is only a brief summary of the Will writing services reviewed. Although we make every effort to ensure our reviews are accurate and up to date; prices, terms and conditions are subject to change. Therefore reviews may be dated, partial or inaccurate; and should not be solely relied upon without conducting your own independent research before deciding to make a purchase or other course of action. Some of the products and services reviewed on this website may earn us a commision when purchased by our visitors. All our reviews are completely unbiased and independent and are in no way influenced by the commission we may earn.